A total of 4 billion prescriptions were issued to American patients in 2010. 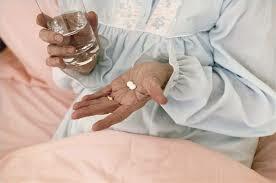 Seventy eight percent of the prescriptions written to Americans in 2010 were for generic drugs. The list included unbranded and those still sold under a brand name. In order of quantities of prescriptions – the 10 most prescribed drugs in the U.S. are recorded according to their regular purchases. Organ Facts: What Causes Liver Cancer?